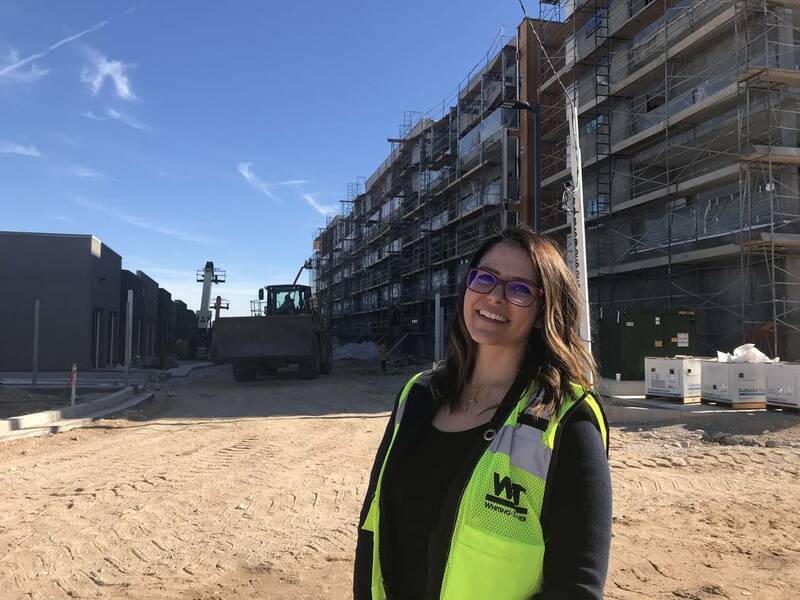 Kelly Kwasniewski, Development Logistics, stands at the site, KAKTUSlife I, to share exciting information on the first multi-family Green Design build here in the State of Nevada. 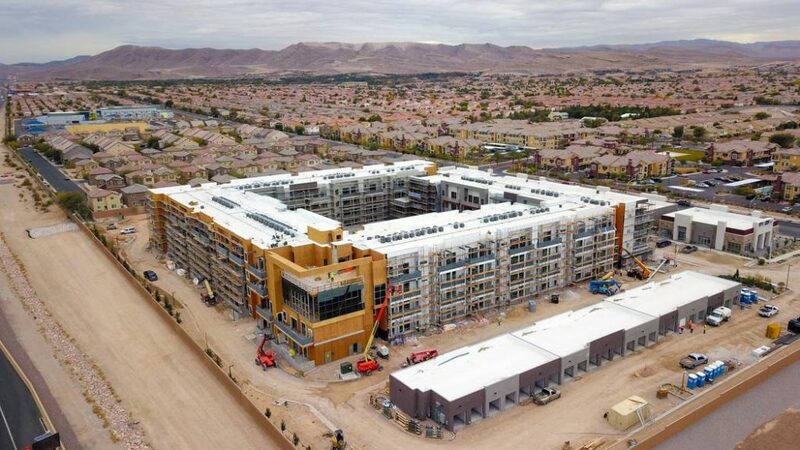 Low E windows, low flow water fixtures, upgraded insulation, 16 SEER HVAC units, LED lighting, a solar array that is pegged to handle 5 percent of the energy load are all key elements to this design. Kelly mentions how the company is seeking Silver Leadership in Energy and Environmental Design Certification on its project. In addition to our energy efficiency model, each of the 210 units are designed with in-unit smart apartment technology and allows for voice automation with your favorite home assistant. TRU Development partnered with IOTAS on the smart tech benefits.